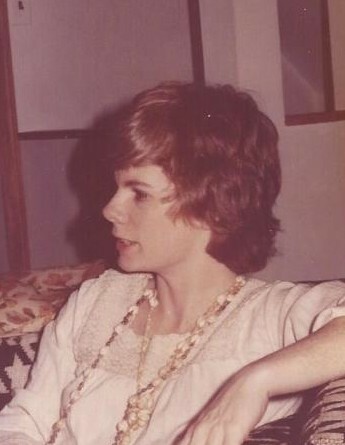 Grace Susan Newbold, 74, formerly of Greenville, RI, Barrington, RI, Dataw Island, SC and Sea Cliff, NY, passed away on March 31, 2019 at Miriam Hospital in Providence. She was born in Brooklyn, NY to the late Brendan and Grace (Golden) Kelley. Susan was the wife of John Robin Newbold for the last 50 years. Susan attended St. Mary’s School in Port Washington, New York and St. Mary’s School of Nursing in New York. She was a Registered Nurse and spent much of her career working at Glengariff Healthcare Center in Glen Cove, NY. Her biggest legacy and achievement in this life was as a caregiver, to her children, her father, her mother, her brother Eugene, her husband, and as a nurse. She is survived by her husband Robin, a daughter Deirdre Newbold, her partner James Lamothe and granddaughter Grace and step grandson Colby of Hope, RI, her son Timothy Newbold and his wife Amy of North Bennington, VT and their children Addie, Thea and Gabe, her brothers Kevin Kelley of Newport, RI and Vincent Kelley of Bellingham, WA, and a sister Cathryn Smith of Maui, HI. She also leaves her in-laws Mary Kelley, Deborah Kelsey, Ione Battles, Carol Newbold, and Laurie and Heidi Newbold and numerous nieces and nephews. She was preceded in death by her brothers Brendan Kelley and Eugene Kelley, and a sister Margaret Kelley. Visitation will be held Thursday, April 4, 2019, from 4:00 PM to 7:00 PM at Memorial Funeral Home, 375 Broadway, Newport, RI. Funeral Services for will be held on Friday, April 5, 2019, with a Mass of Christian Burial at 10:30 AM at St. Joseph's Church, Broadway, Newport. Burial will follow at Island Cemetery. Memorial donations may be made to Pulmonary Fibrosis Foundation, pulmonaryfibrosis.org.